London’s parks are some of the best in the world. From Hyde Park to Hampstead Heath, they are beautiful places that create pockets of greenery throughout the city, offering Londoners a chance to connect with nature, be active, speak out, and have fun. However, these parks didn’t always exist, and their creation has a story all its own. In fact, there are several stories as there are several categories of green space in London with different origins. These include: Royal parks, public parks, common land, pleasure gardens, and purpose-built parks that were all formed for different reasons. Royal parks were the first to develop and weren’t really open to the public in their early days. In truth, many of the parks were actually Church property until Henry VIII seized them as part of the Dissolution of the Monasteries. Places such as Hyde Park, Bushy Park, and Kensington Gardens were properties that Henry took and converted into hunting grounds. Others, such as Greenwich Park reverted to the Crown by more natural means or, in the case of St. James Park, were purchased by the Crown for the monarch’s personal use. These parks remained in exclusive Royal use until the 19th Century when they began to open up to the public. Even today, the public actually has no legal right to use the grounds except what the Crown allows. Under the Crown Lands Act of 1851, the Royal Parks Agency was created to manage these properties until 2017, when the Royal Parks charity took over management responsibilities. London’s public parks did not come about until the 19th Century and were an active attempt by the British government to create green spaces in a city that was become more urbanized. Victoria Park in Hackney was one of the first parks created for this purpose, with construction beginning in 1842 and opening to the public in 1845. This was followed by Battersea Park in 1845 and opening officially in 1858. Both of these parks and Kennington Park were laid out by noted architect James Pennethorne. The Metropolitan Board of Works opened Southwark Park in 1869 while the London County Council opened Brockwell Park in 1891. Most of these parks feature vast open spaces, pavilions, lakes, bandstands, and drives meant to be enjoyed by all levels of society. In the case of Victoria Park, its East End location made it a “People’s Park” for the working classes compared to the more upscale Hyde Park. Common land is property typically owned by multiple persons or organizations, enabling a larger group to utilize the land. 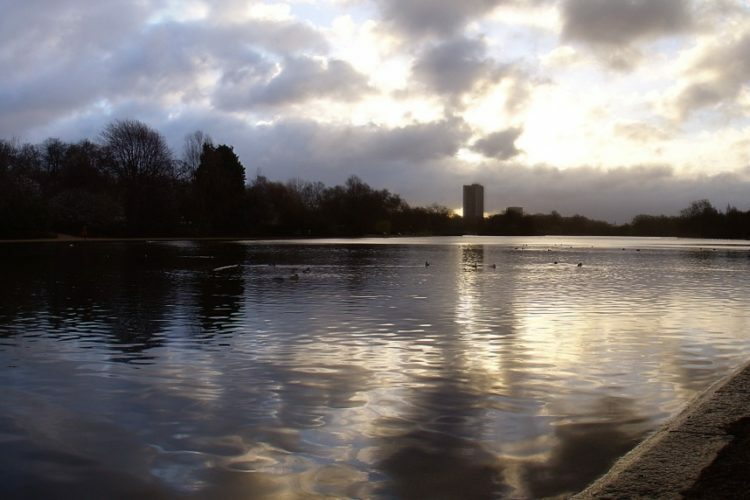 There are over one-hundred commons in London from Frogmore Green in Ealing to Hampstead Heath. The latter comprised 790 acres of Camden and was originally the property of Westminster Abbey until the church sold it in the 12th Century. Over time, parts of it were sold, but the heath remained common land until the Metropolitan Board of Works purchased it to become a public park in the 19th Century. The protection of these areas also came about due to the encroachment of new building projects, and public opinion persuaded Parliament to adopt the Metropolitan Commons Act of 1866, which allowed local councils to use funds to preserve common lands. One of the last categories of green space worth mentioning are the pleasure gardens. These were a specific type of ornamented landscape that began to appear following the Restoration in the 17th Century and on a much larger scale than landscape gardens that adorned many manor estates. Many of these in London were created in the 19th Century including the now-extinct Marylebone Gardens, Ranelagh Gardens, and the original Vauxhall Pleasure Gardens. Crystal Palace Park was developed as a pleasure ground following the Great Exhibition of 1851 and converted into parkland for recreational activities and sport. Other parks and gardens in the city have been created for special purposes, Plenty of city farms exist to help Londoners learn about farm life without having to leave the city, while wetlands preservation along the Thames has necessitated the creation of special parks to protect these important environments. Other parks (including Crystal Palace Park) were created for special events and continued to see use as a public space. No matter what the reason, London’s parks today give the public a chance to experience nature and engage in a respite from the busy life of the city.